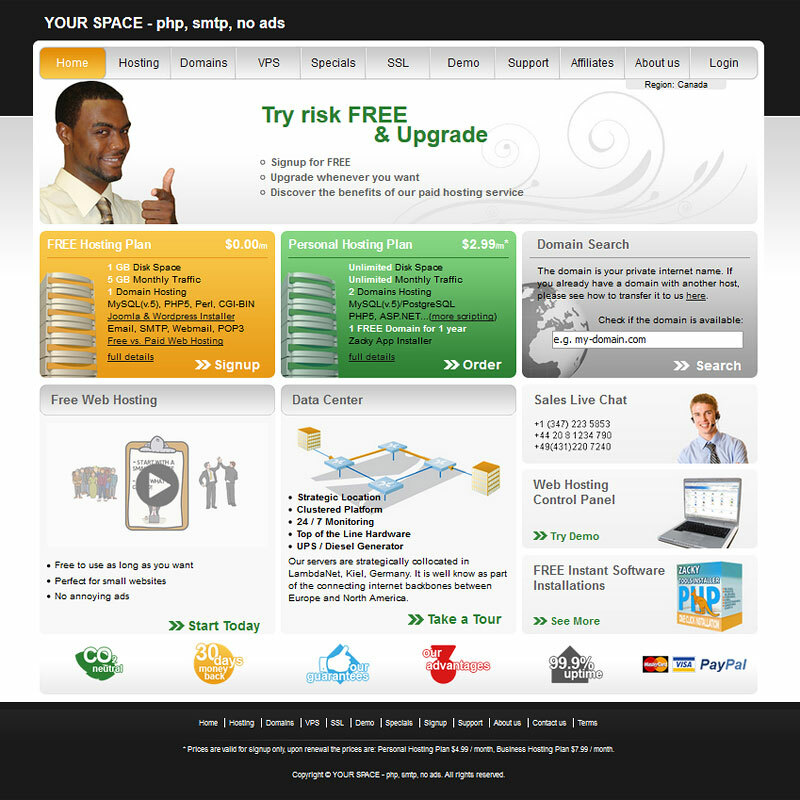 1 GB Disk Space, 5 GB Monthly Traffic, 1 Domain Hosting, MySQL(v.5.7), several versions PHP up to PHP7.1.0, Perl, CGI-BIN. By upgrade you can also enable asp.net. There is a free FREE SCRIPT INSTALLER (Zacky) for WordPress and Joomla. Email, SMTP, Webmail, POP3. You can upgrade at any moment and keep the same website. You're not limited to Joomla and WordPress to run your site, but other php scripts must be installed manually if you want to use them with free hosting. Co-branded: Yes, co-branded by other service.